Chemical substances are something that we encounter regularly in our day-to-day life. Some of them are part of the food and drink we regularly consume. Others we take when we are feeling sick and want to cure the illness. But there is a group of substances that people do not take as food or as medicine. They take them in order to feel different. And sometimes people get used and dependent on the feelings that come after taking these agents. They require them all the time. This state is called addiction. And the substances that can cause people to get addicted are called drugs. Why are drugs different from other medicines? Each chemical you take can have a specific type of action. For example, an antibiotic kills bacteria that cause sore throat. Paracetamol is an antipyretic – it lowers your fever when you have flu. As for drugs, they go for the central command center – the brain. The molecules that compose them interact with nerve cells in the brain in several different ways. When the brain is affected, it also affects everything else: your feelings, your ability to think, your muscles – in short, your entire body. Let us look into each one of them in detail. Hallucinogens: I see you – are you real? When we think about drug-like substances, we often think of chemicals that make us see what is not there, such as visions or hallucinations. These substances are called hallucinogens. Hallucinogens alter the way our brain works – the colors are brighter, the reality is distorted and we may even see dream-like pictures. Shamans and priestesses used to take them in their services, but now regular people have discovered them. What are they and what do they do? Those are synthetic substances. They are often made into tablets. They cause euphoria and vivid visions. 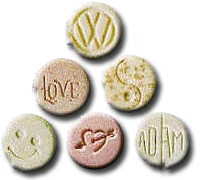 The sellers of these tablets often target young people at discos and clubs. What are the side effects? Nature is all about balance. When a substance causes intense happiness, heavy depression comes afterwards. There are also other side effects. For example, dancing and taking ecstasy leads to dehydration – people lose too much water. Your body can’t function properly without it. Also, such dehydration may lead you to extremes – you would drink too much water, which may be equally dangerous and damages the brain. There are other dangers of hallucinogens – they cause severe mental problems. If you use them regularly, you can lose the ability to tell reality from visions. And you lose the ability to think critically, too. One of the worst dangers of hallucinogens is how they quickly lead people to addiction. And as people take more and more of the drug, they need bigger doses. In the end, there is a very high risk of overdose and death. Besides, one never knows what people put in ecstasy tablets. Therefore, there can be chemical poisonous to your body. The stimulant drugs themselves damage heart and brain as well. What is it and what does it do? 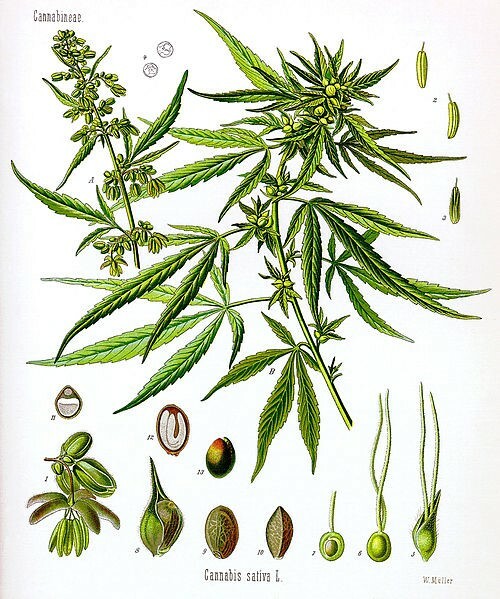 Cannabis is a simple grass-like plant. Previously, it was often grown for a completely different purpose – for making strong ropes. Then people discovered that if you smoke cannabis, you would get relaxed and happy (“high”, simply speaking). You can also see visions. Interesting to know: Recently, it was discovered that some chemicals in cannabis can actually be useful for treating illnesses. They are called cannabinoids. These chemicals do not induce any kind of drug-like visions, but instead can relieve pain and bring down inflammation. They do not cause addiction, too. But according to specialists, those substances still have to go through multiple testing so that the doctors would be sure they are safe. On the other hand, there are other cannabinoids that do induce vision and euphoria. The plant itself is not always easy to grow. So people make synthetic and hallucinogenic cannabinoids. These substances are even more dangerous than “natural” cannabis, as you are never sure what is actually added to them. They can be more potent, and induce severe addiction. What are the side effects of cannabis? Thankfully, cannabis does not cause severe addiction, unlike many drugs. That is why it is often considered “safe” and “natural”. But it is not exactly true. You may not get addicted to cannabis quickly, but you would still get many problems. Similar to ecstasy and LSD, cannabis use may impair your ability to think. It can also cause heart and lung problems. Smoking cannabis, or mixing cannabis with tobacco would also speed your way towards lung cancer. And it is highly dangerous for pregnant women. What are they and what do they do? There are particular species of mushrooms that can also cause visions. This is actually one of the ways mushrooms protect themselves – so that they would not be eaten. What are side effects of mushrooms? Mushrooms are not as safe as they seem. Right after use, they can cause vomiting, diarrhea, and convulsions. They can also be poisonous as well. 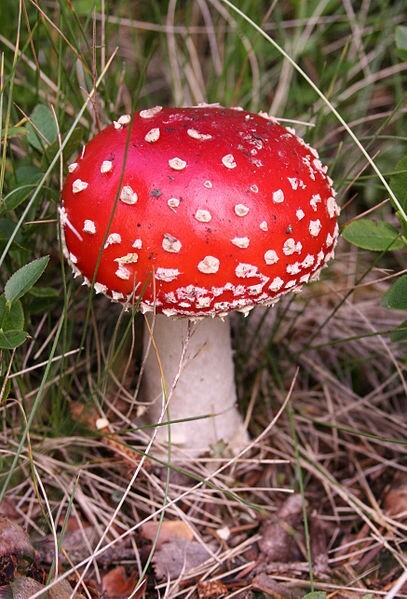 Mushroom poisoning is very hard to treat and is extremely dangerous. They are also dangerous in pregnancy. And as any hallucinogen, their use may cause mental problems. Stimulants are substances that “up” your mood and activity of your nervous system. A person that takes stimulants may feel he has just had an energy boost. We actually use mild stimulants regularly, such as caffeine from your daily tea or coffee. It helps us wake up and face the day. But there are much stronger substances out there, such as amphetamine (or “speed”), methedrine, and cocaine. What are they and what do they do? Both substances are very strong synthetic stimulants. They cause the user to feel a boost of energy and alertness, make him or her more sociable and active. There are different forms of use – in powder, on paper, in tablets, etc. What is that and what does it do? Cocaine is an extremely dangerous drug and powerful stimulant. It looks like a white powder and is usually snorted through the nose or injected into the blood. It makes the users feel active and aroused. Why is it dangerous? First of all, it is extremely addictive. Its effects are short term, so users feel compelled to take it over and over to feel the same good feelings. A couple of tries can get one hooked. People destroy their relationships and fall into crime in order to get more and more of the drug. It is also damaging for health. First of all, it slowly destroys the noses of users. It can also do too good of a job – both one’s heart and nervous system can get so stimulated they shut down entirely. Many cocaine addicts overdose and die of a heart attack. Other heart diseases are also very likely. Injecting cocaine holds another potential danger – if people share needles, they can get infected with viral hepatitis of HIV. While stimulants increase the activity of your nervous system, depressants subdue it. The people who use depressants feel mostly relaxed, the brain activity is down. Alcohol, for instance, is a depressant. Pills you take to sleep better are also depressants. They belong to two major classes: benzodiazepines and barbiturates. What is that and what does it do? Very likely, you know what alcohol is – those are liquids that contain ethanol. Wine, vodka, rum, beer – are all alcoholic drinks. Though people who consume alcohol can be very active and even aggressive at first, alcohol is really a depressant – it makes the brain activity and heart activity slow down. What are side effects of alcohol? Ethanol is not something that is healthy for your body. Regular drinking damages everything important: your brain, your heart and your liver. And one can develop addiction and tolerance to alcohol easily. Alcohol withdrawal can also be as dangerous as drinking: people who suddenly stopped drinking can get hallucinations and seizures. They are delirious and cannot see reality. They need immediate special treatment. What are they and what do they do? Those are two classes of chemicals that are able to decrease the activity of nervous system. They are often officially prescribed for people who can’t sleep well or are constantly anxious. They are often called tranquilizers. They help people relax and calm down. Why are they dangerous? People can easily get addicted to medications that help them sleep and feel calm. They often take too much too often, developing tolerance to their medicine. It means they tend to take even more tablets, and they can overdose. Sleeping pills of this kind can negatively affect the brain and kidneys. People also can develop different types of mental disorders and even start thinking of killing themselves. There is a separate class of drugs that combine the effects of hallucinogens and depressants– solvents. What are they and what do they do? Basically, a solvent is a substance that can dissolve something. It is usually a liquid or a gas. There are many solvents around you, most common one are different types of glue, paint, nail polish remover, petrol, ether, etc. You must be familiar with the fact that all these things have a very strong smell. In some people, those vapors can cause hallucination-like feelings and euphoria. Why are they dangerous? Most solvents are absolutely not intended to get into our systems. They destroy our cells everywhere. When people get addicted to them and use them for a long time, they potentially can damage their brain, liver, and kidneys. As drugs, they also bring down our memory and ability to think. Their use can cause depression. As they are usually inhaled, they damage the lungs as well. You can also lose consciousness when using solvents – and it is dangerous, for one may fall and get injured because of it. Solvents can also cause vomiting. Vomiting when one is not aware of reality can suffocate a person. Painkillers act a bit like depressants. They interfere with nerve cells that transmit pain signals to the brain and stop the signals from coming. The person stops feeling pain from the injury. We often use painkillers – against headaches, or after getting surgery. But some painkillers are very strong. They are so overwhelming, that people can get dependent on them really fast, after one use. Aspirin is a mild painkiller that we use often. But if you use too much aspirin, you can get internal bleeding. Other painkillers, such as morphine and heroin, are even more dangerous. What is that and what does it do? Heroin is a powerful painkiller. It is an opiate – made from a substance that is produced by opium poppy. There are many kinds of opiates used as painkillers, but their prescription is restricted as they can be as addictive as heroin. This substance relaxes the body, makes the user feel happy and content. It can be taken in a variety of ways. Why is that dangerous? Heroin is also a highly addictive drug. You can get addicted from several tries only. Heroin also has a severe withdrawal syndrome that takes place a day or two after one uses the drug. A person begins to sweat, have cramps, nausea, vomiting, diarrhea and fever. Also one falls into a heavy depression. People who regularly use heroin become uninterested in themselves and outside world. Heroin also damages the brain, heart and liver. Injections with heroin increase the risk of infection and damage the veins. What is that and what does it do? Tobacco in cigarettes and pipes is made from the leaves of tobacco plant. One of the main active components of tobacco is nicotine. Nicotine interferes with nerve cells that are located in our reward circuit – special system in the brain. Initially, this circuit was meant to make us feel good when we do something that help us survive – eat, for example. But in our world, this circuit also works after all kinds of events: eating something sweet, getting a ride in an amusement park or watching a movie. When people smoke, they feel the same kind of pleasure, and the brain gets used to it. Why is tobacco dangerous? Smoking has various side effects. As it is addictive, people spend a lot of money on cigarettes. Also, tobacco contains other substances besides nicotine. Many of them directly cause cancer, especially lung cancer. Smoking also creates tar that damages the lungs. Most smokers suffer from chronic cough or have other severe lung illnesses. Their capacity to breathe goes down. It also damages the heart, as it gets less oxygen. So, what is our conclusion? In short, using drugs make you a slave to them. People who get addicted are ready to do anything to get their hands on another dose. It is very easy to take too much and overdose as a result. Drug addiction easily destroys families and lives. And it is extremely hard to bounce back. And to think of it – do you really think it is a good idea to become a slave to some random chemical? Is feeling good really worth it? There are multiple ways to achieve happiness safely, after all. Also – remember to check your prescriptions for those substances we mentioned. Some medicines can get you addicted, too.